Lakmé is an Indian brand of cosmetics, owned by Hindustan Unilever and run by CEO Pushkaraj Shenai. The cosmetics company runs a bi-annual fashion event every year that takes place in Mumbai. The company wanted to make its event ‘Winter Festive 2013’more happening by making people participate in it and relive it, for which it made use of 3 key social mediums- Facebook, Twitter & Vine and experienced and unprecedented success by adding 400 new followers in just 5 days. 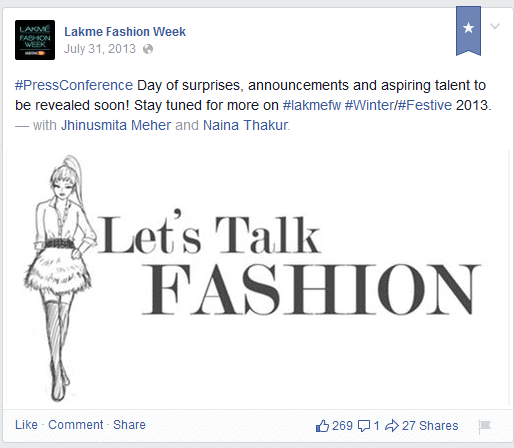 To get people participate and relive Lakme Fashion Week in real-time with the help of live updates, backstage footage and compelling content, and engage & promote the event. This was a phase meant to create a buzz about the event, with respect to the theme that was ‘Absolute Royal’. • A Ticket to Fashion contest was launched on Facebook asking women to share their Absolute Royal moment with an image and in not less than 200 words. • Passes to the event were given to the winners and that they could enjoy special royal treatment at the Lakme Pro Stylist Lounge at Fashion Week. • Moreover, a gorgeous Sabyasachi saree will be given to the one lucky winner. 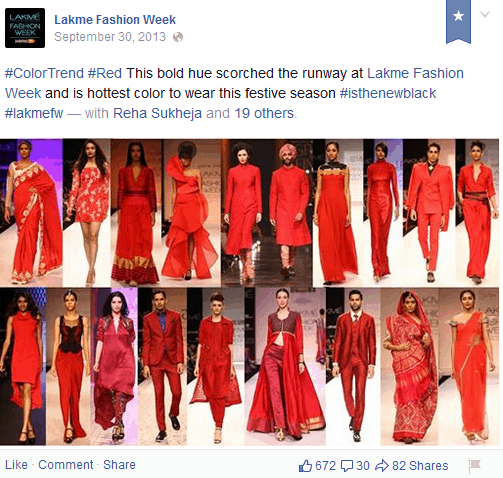 Launched a campaign on Twitter ‘#LikeAQueen’ to give an opportunity to its follower on this platform as well to share their royal moment with a twit-pic and even here 6 followers were chosen for the Lakme Fashion Week W/F 2013. This phase was meant to launch the Absolute Royal collection backed up with content that was curated at the event. • A stream of content called ‘Runway Renditions’ to display the best looks from runway that were stirring attention among women was produced and presented. • A concise version of the entire day called ‘The Day That Was’ was also produced and present that featured the best designers, stand out collections, the show-stoppers and presentations. 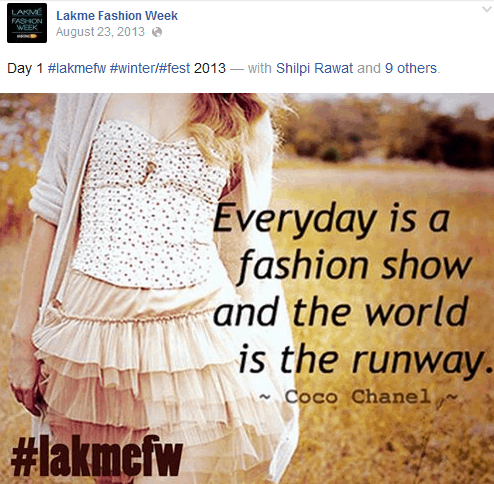 • Content stream named as ‘Spotted @LakmeFW’ was produced and presented to display snapshots of celebrities. It was the Paparazzi section of the page. • #AbsoluteRoyal, #LakmeFW activities on Twitter where in people talked about designers and their collections, supported with the hashtag #AbsoluteRoyal and #LakmeFW , and Twit-pics from backstage, model looks, make-up and venue were shared via this hashtag in order to make the audience participate, share, RT and favorite their tweets. • The use of Vine to capture all the cool moments of Fashion Week with the help of six second videos in order to have their fans on Twitter have a new experience of Fashion Week. 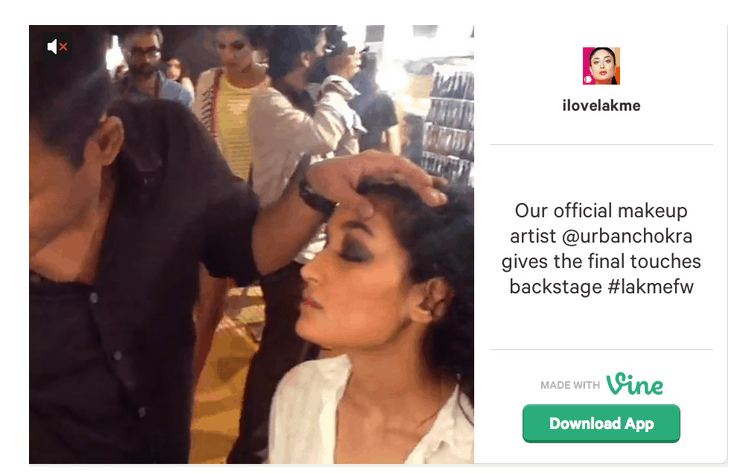 Moreover, these videos were shared on their Twitter Timeline using the hashtags #absoluteroyal and #Lakmefw to give their glimpse to the viewers clicking on any of the hashtags for updates. All the content that was created at the event was shared. 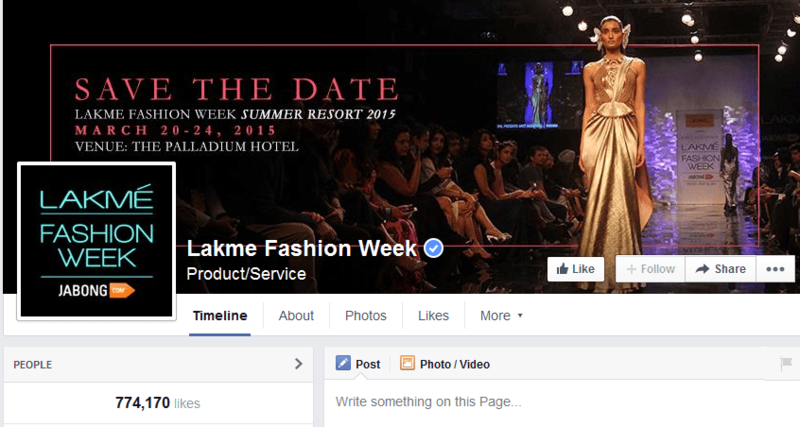 It included product reviews by bloggers and posts that the official bloggers have created integrating Lakme products. Boards were created for each designer to display their best in the collection. • Top designers like Archana Kocchar, Nikhil Thampi, Rocky S, Vikram Phadnis, Sailexx, Little Shilpa and more retweeted on the social network making the campaign a big hit.